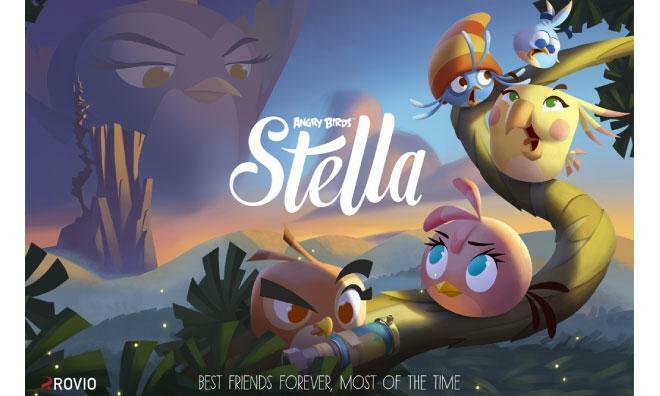 Finnish game developers Rovio on Thursday unveiled Angry Birds Stella, a new entry in the Angry Birds franchise featuring the pink, female Stella character as the game's protagonist. Thursday's announcement was light on details, with no firm release date —the company said the game will bow "in the fall of this year"— and only hinted at what the game mechanics may be. The new cast of characters will have to find "creative solutions" to deal with "serious issues," perhaps indicating that the game will be focused on puzzle solving rather than siege tactics. In addition, Angry Birds Stella will be set in a new, as-yet-unseen part of the Angry Birds Universe. The company teased the game yesterday on Twitter, promising a "big adventure." Rovio added that Angry Birds Stell would touch nearly every part of the now-massive Angry Birds product empire. It will include "games, animations, books, toys and other fun stuff," Rovio said.